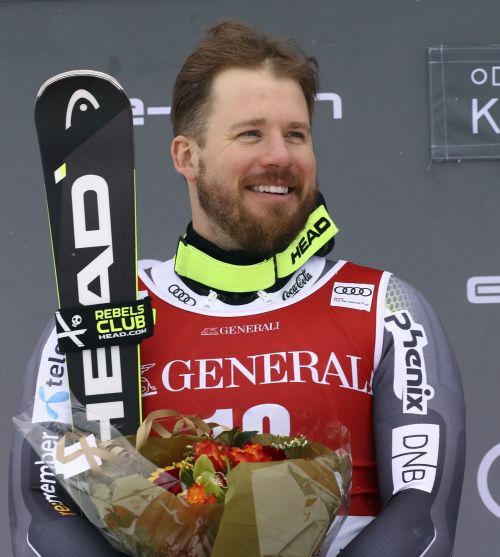 SOLDEU, Andorra (AP) — World champion Kjetil Jansrud and Olympic champion Sofia Goggia were fastest in downhill training runs Monday at the World Cup finals. Jansrud was 0.24 seconds faster than Johan Clarey, with Adrian Smiseth Sejersted and Christof Innerhofer tied for third, 0.32 behind. Beat Feuz leads the World Cup downhill standings by 80 points ahead of Wednesday's race. With 100 points awarded to the winner, only Dominik Paris can stop Feuz from retaining the season-long downhill title. The women will race on the same 2.6-kilometer (1.6-mile) Aliga slope, but with more gates on a course set differently. Goggia was 0.69 faster than Tina Weirather and Michaela Wenig, who tied for second. Nicole Schmidhofer leads Austrian teammate Ramona Siebenhofer by 90 points ahead of Wednesday's race. Lara Gut-Behrami, the 2016 World Cup overall champion, crashed in the training run and will miss the rest of the week's action, including more practices scheduled Tuesday. The Swiss team said Gut-Behrami injured her back and right foot and will go undergo further examination upon returning from Andorra. Gut-Behrami was without a World Cup race win for the first time in seven seasons.